Jamie picked up this dress at a consignment shop, in hopes of wearing it for her orchestra concerts (she plays the oboe!) but the tailoring just wasn’t right. 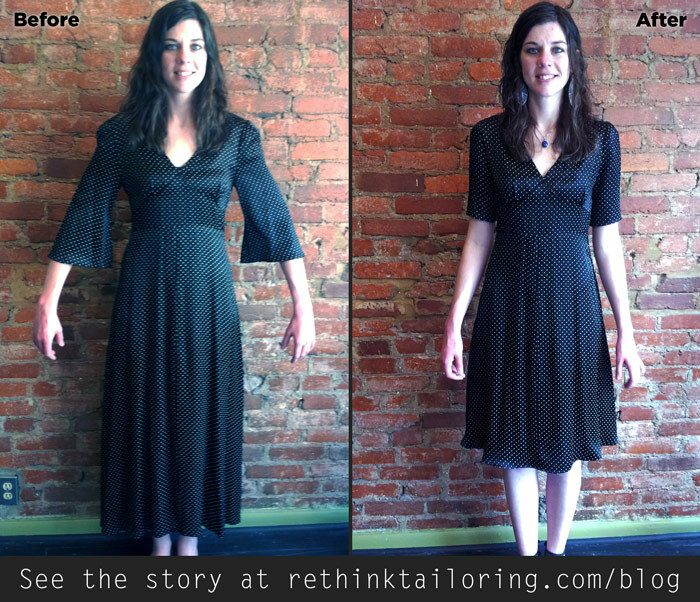 I modernized this piece for her by updating those sleeves, fixing some home-sew oopsies, and raising the hem. See the whole store here. ← Baggy dress to tailored top for work or for play.